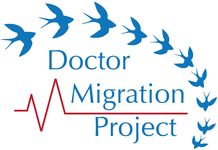 The Doctor Migration Project (2010-2014) is a research project which aims to assess the contribution made by non-EU migrant doctors to the Irish health system. It will also examine the experiences of non-EU migrant doctors in Ireland and ascertain their plans for the future. ​﻿The Failure to Retain (F2R) Project explored the emigration of health professionals (doctors and nurses/midwives) from Ireland. It is a collaborative project between researchers in the Royal College of Surgeons in Ireland (RCSI) and the School of Nursing and Human Sciences in Dublin City University (DCU). The Doctor Emigration Project will consider the outward migration or emigration of doctors from the Irish health system. Although Ireland now trains sufficient doctors to meet the needs of the Irish health system, increasing numbers are emigrating. High levels of doctor migration (inward and outward) distorts the composition and skills mix of the health workforce and undermine attempts to match supply to need. This project aims to support implementation of the World Health Organization (WHO) Global Code of Practice on the International Recruitment of Health Personnel and achieve better understanding and management of health worker migration.